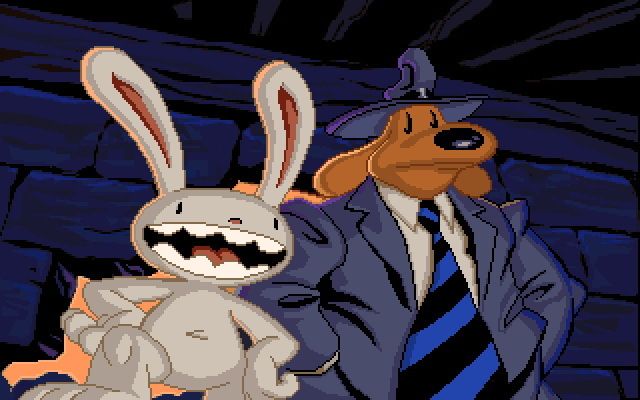 Based on Steve Purcell's (then a LucasArts employee) excellent comic book series Sam & Max: Freelance Police. 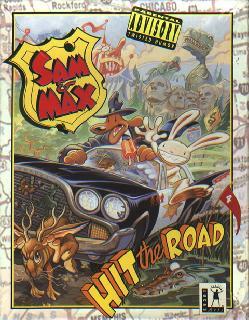 Sam & Max Hit the Road is a point and click adventure game developed by LucasArts. The game was released in 1993. 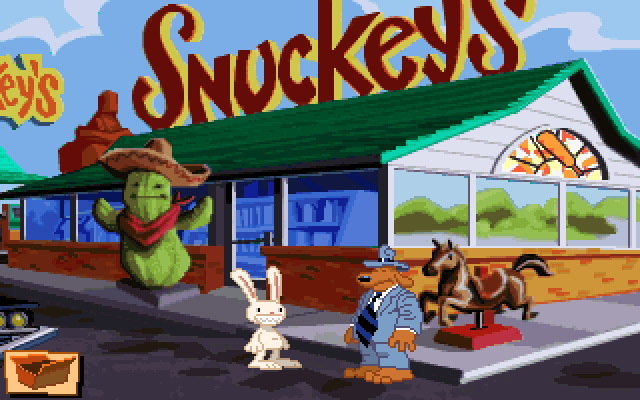 It is frequently mentioned as one of the funniest games ever made. 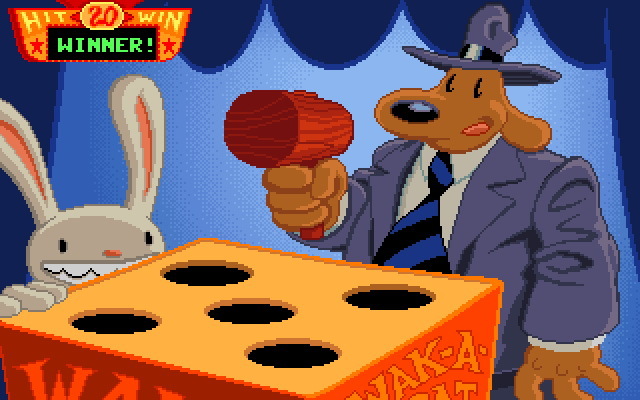 The player controls suit wearing dog Sam and his partner rabbit like thing Max, a pair of freelance detectives. 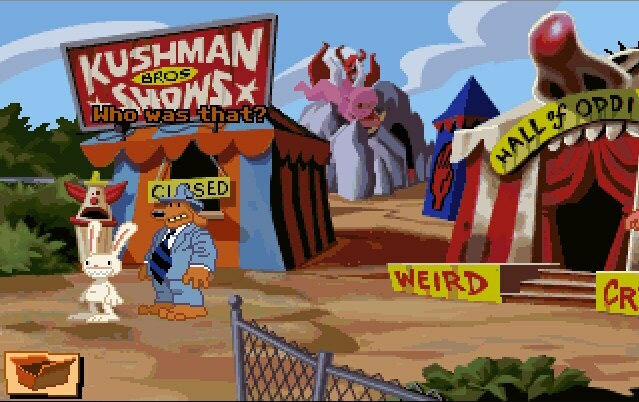 The pair get hired to find a frozen big-foot that has gone missing from a nearby carnival where it was the carny's star attraction. 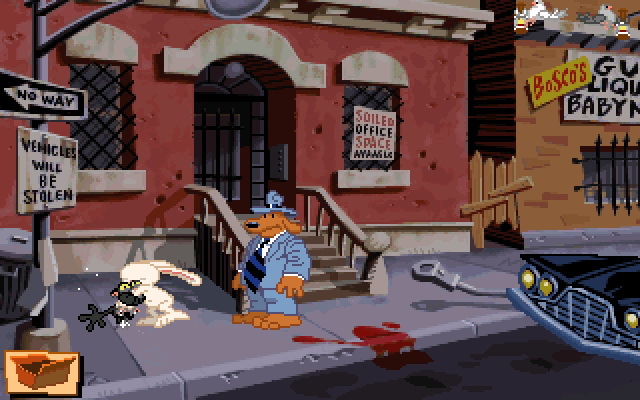 Sam and Max travel all over the US for clues on solving the case. 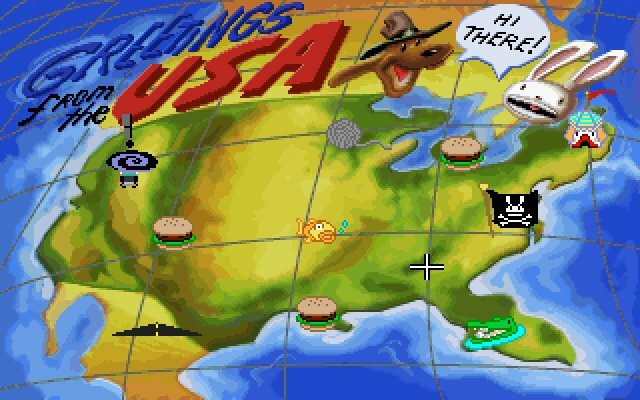 ---With just the game's awesome intro having more laughs than most games or even movies out there, Hit the Road really does deserve its reputation and is hilarious from start to finish. 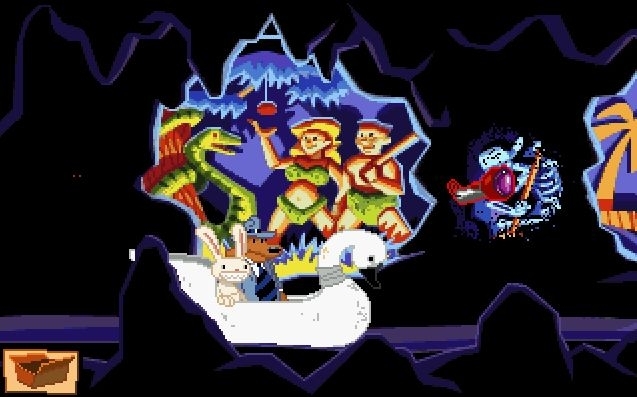 The game's faults are mostly in its puzzles, which are some of the toughest LucasArts has ever made, and due to the large size of the game's world can be very frustrating to solve. The interface can also add to the frustration. There is no pop up text when when pointing on objects, instead the mouse icon changes depending on what the player points at, as a result objects are easier to miss. The interface has its up side though, the team left out the old dialogue choosing system and replaced showing the lines the player can pick with icons. That system makes the dialogue much more surprising and the conversations more entertaining. 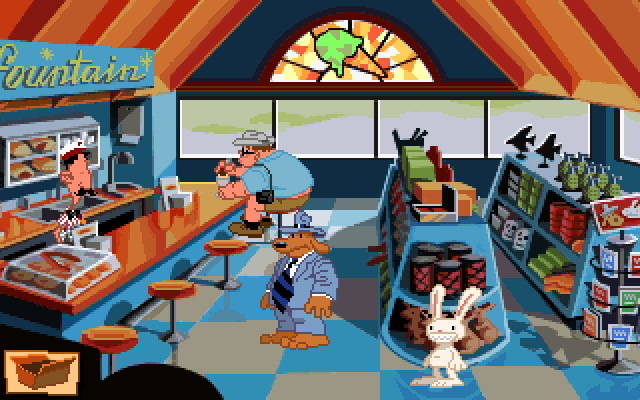 Sam & Max Hit the Road is such an entertaining game that those faults are easily forgiven. Grab a guide if you need it and enjoy. Now you can add videos, screenshots, or other images (cover scans, disc scans, etc.) for Sam and Max Hit the Road (CD DOS) to Emuparadise. Do it now!